Last week PACC spoke with the Regional Operations Manager for Mencap, Richard Ellis, about the concerns that had been raised with PACC about the cancellations of stays at Bradbury House in Shrewsbury, which offers overnight Short Breaks for children with disabilities. We asked for clarification around the current situation and why the decision to cancel stays at the last minute had been taken. Richard firstly wanted to apologise to families for the disruption that he knew this decision will have caused families. Mencap understand that this is a crucial service for families and that plans will have been made by families based on the dates that they expected their child to be staying at Bradbury House. The decision was not taken lightly and only happened because Mencap felt it was necessary for the long-term viability of the service. Richard acknowledged that ideally this shouldn’t have been necessary but explained that adjusting to the requirements of the new contract, which included a significant increase in the number of young people being supported by Bradbury house and the transfer of staff from Action For Children to Mencap, had been more challenging than expected. Richard shared the following information which he hopes will enable families to have a better understanding of the situation and which will provide some reassurance for the future. The original plan was for a one-week closure so that the kitchen at Bradbury House could be replaced. This was planned with the Disabled Children’s Team and only one young person had been booked in for this period so that disruption to families would be minimal. Since the start of the new contract Mencap have been working to develop the new service at Bradbury House, which has included supporting the transition of children and young people who previously stayed at The Willows and transferring staff from AFC to the Mencap Team. While there was a 6 months transition period build into the contract period, complications around transferring young people and staff from The Willows had meant that all the necessary paperwork and preparation had not been fully completed in this period. While this was never to the point that it meant that young people could not be safely supported, it did create concerns that the quality of the service was being placed at risk. It recently became clear that this also meant that if the service was inspected this situation would potentially be detrimental to the services rating and its long-term viability. Once this had been recognised Mencap felt that they had no alternative but to take steps to rectify the situation, meaning that only a reduced service could be offered. At this point families who would be directly impacted by this decision were contacted and made aware of the situation. Families who were not due to use the service during this period were not informed about the decision to run a reduced service at this stage. The service is not actually currently closed but is running at a substantially reduced level, continuing to provide support for 4 children over the 3-week period concerned. These were young people for whom the Disabled Children’s Team recommended that it was essential that the service continued for. Richard acknowledged that there had been more changes in staffing over that last few months than they would like, but felt it was not unexpected in light of the inevitable challenges of merging two staff teams (from the Willows and those originally at Bradbury House). There has been a number of factors that have impacted on this including; some of the staff that did originally move to Mencap then decided to move back to AFC as new vacancies came up and Mencap was not fully staffed in this period and so there was also a lot of new staff starting which may have contributed to the sense that staff were not consistent. The turnover for staff in the carers sector runs at about 30% and Mencap Shrewsbury has been running at just over 20% during the period of concern. Mencap does carry out exit interviews with any staff who leave the service and value any feedback as an opportunity to improve the service they provide. Mencap and the Team at Bradbury House are keen to work with families to ensure that the service is working well and providing the supported needed. The will be a chance for families who use the service to meet with the staff team and to reflect on how the service is working and specifically the current situation, this is planned to take place in July but there is no firm date as yet. 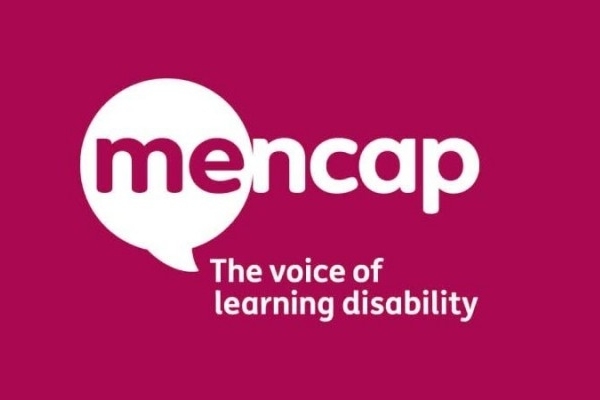 Mencap have also agreed to meet regularly with PACC to discuss how families can be kept informed about future developments and be involved ongoing discussions about the service. This will include the development of the new ‘Preparing For Adulthood’ house. An update on this aspect of the service will also be shared soon. PACC hopes that the information above is helpful for those families who were impacted by this situation and who have not been able to access support as planned. We are continuing discussions with Mencap and Shropshire Council about what steps can be taken to ensure that this situation does not happen again and to clarify what will happen to ensure that families receive their full allocation of stays. If you have any further feedback about the situation or service in general please do get in touch with us.